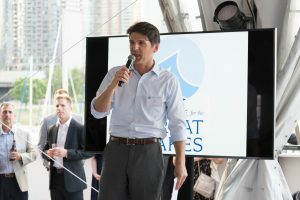 Last week, the Alliance for the Great Lakes and over 300 of its top supporters partied with a purpose at our Great Blue Benefit, which raised more than $200,000. Devona, age 14, recently completed her first year at Martin Luther King, Jr. College Preparatory High School located in Chicago’s Kenwood neighborhood. At King, she learned about the Great Lakes in biology class with teacher Cheryl Dudeck, a long-time partner in our Great Lakes In My World education program. 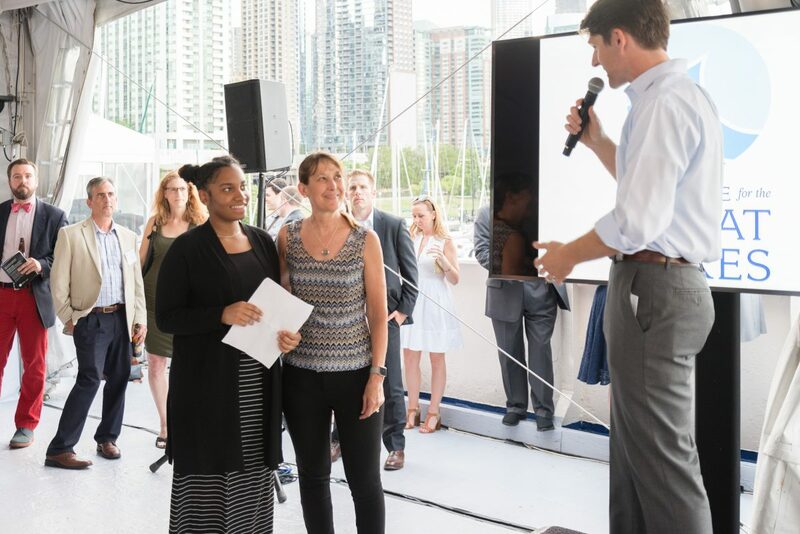 Joel Brammeier, Alliance for the Great Lakes President & CEO, presented a gift to King College Prep to support efforts to take students into the field for hands-on learning. The student-teacher duo proudly accepted the award on behalf of their school. 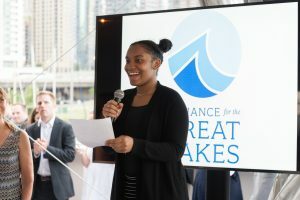 As Devona took the stage to express gratitude to the people in the room, she also made a point to highlight what her Great Lakes education has meant to her. But as powerful as those tools are, it was something entirely different that got their attention. “We took those answers to Washington, and more than any chart or graph, these stories got the attention of Congressional staff, who sat, and read, and thanked us for bringing these stories forward,” Joel said. It’s not too late to join the party — protect the Great Lakes by making a donation! 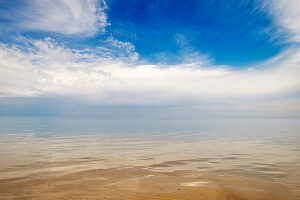 Your donation of $25 or more will make sure we have the resources we need to continue to protect the Great Lakes. From education, to advocacy, to working in communities across the region, we couldn't do any of our work without supporters like you—thanks!